After three rounds of alpha and beta testing of the program with over 100 participants, #NETT90 quietly launched a public beta version and will remain free for a limited time while the full release and marketing is being put together! Click here to scroll down to the latest update from the creator! #NETT90 – Enroll for FREE! Can you spare 1 minute a day for 90 days to gain awareness of how to capitalize on your body’s inherent design to improve your overall health? You can utilize this insight to strategically implement simple practices that will boost your health with far less effort than you probably realize! The public beta of #NETT90 will remain free for a limited time. Sign up now to Thrive On! Congratulations on taking the first step to enjoying a healthier lifestyle! You will receive an email shortly to confirm your subscription. If you do not see it in your inbox, try your spam folder and make sure to allow emails from nett90@evothrive.com. Stay tuned to Thrive On! Advances in technology have made it easy you to fall into a comfort zone that essentially hijacks your biology and turns off many of the processes your body systems are meant carry out. #NETT90 is designed to bring awareness back to those processes and show you how to implement simple practices into your daily life in order to reclaim your body’s naturally healthy capacity. The approach all boils down to developing health-promoting habits by building awareness of evolutionarily-minded functional health practices to empower you with the means to make effective decisions and utilize your body’s natural design. Better health makes everything in life better. When your body systems function how they’re meant to, you can perform better and make better choices across every facet of life. 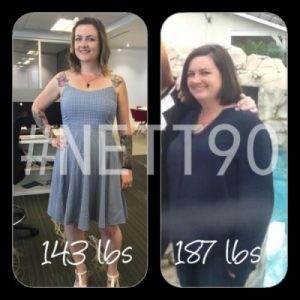 #NETT90 is a 90-day program that is designed for anyone to be able to benefit from it. It basically consists of a daily email containing information and simple recommendations you may implement into your lifestyle. The program encompasses most everything around the mental, physical, and social aspects of health. This includes aspects around daily routines and stress management, as well as fitness and nutrition. You may find conventional medical professionals, trainers, health programs, and the like focusing on just one or two aspects of health and doing so in a generalized manner. What they tend to overlook is how everybody is different and the body works as a system comprised of many intricate parts that only function optimally when they are all healthy and in sync with each other. Have you ever wondered why certain diets or workouts that work miracles for your friends seem to do nothing for you other than make you miserable and result in disaster no matter how much effort you put in to adhering to the plan? It’s because your body is not the same as your friends’ or anyone else’s for that matter. Without maintaining a proper balance all throughout, you may be spinning your wheels, doing more than necessary, or even doing yourself more harm than good. #NETT90 encompasses all aspects of health and provides you with the foundation to gain awareness of functional health principles to empower you to determine what is best specifically for your own body. #NETT90 is for everybody! 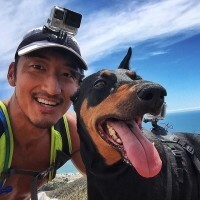 While it may be most effective for beginners who are unsure of where to start their journey, even if you are well into another program or already have your regimens dialed in, this program is largely complementary (and it’s so easy) that you should be able to stack it on top of what you are already doing to compound your results. Many of the practices take just seconds to complete and others take just minutes. The hardest part may be to remember implementing the practices, but the program aids with that too! #NETT90 isn’t an extreme diet or workout program that will take up a lot of time and effort. Trying to make drastic changes in that manner tends to be unsustainable. #NETT90 is intended to help you slowly and steadily incorporate simple techniques to build habits that utilize the human body’s inherent design to your benefit. Many of these techniques bring awareness back to processes that have been neglected due to patterns that have developed in the comforts of the modern lifestyle. There are also techniques utilize the most current science available to take advantage of human biology in a strategic manner. The basic practices in #NETT90 can benefit anybody, and are foundational to health. Implementing them into your lifestyle and developing them into habits will add a positive synergistic effect to everything else you do. This level is the basic level that lists out the key points and the to-dos. This may be geared toward those of you who are just starting in your journey to improve your health. On most days, these points should take less than 30 seconds to read. Therefore, it may also appease those of you who are not sure about what you’re getting into, but are willing to take a few seconds every day to read the main points. It’s simple enough that everybody should go through this level to gain more awareness of health, even if the information turns out to be just a reminder. This level consists of the main content that expands on the key points. On most days, this content should take less than 3 minutes to read. This would be for those of you who want to know more about why the practices are effective. It could also be the second run of the program for those of you who completed “Level 1” and want to reinforce your practices and gain more knowledge and awareness. This level consists of bonus material. This would be for those of you who may already be aware of a lot of the information and/or want to go above and beyond the main content. It could also be the subsequent round of the program for those who completed “Level 2” and want to reinforce your practices and learn even more along the way. This level consists of reference material. This would be for those of you who truly have a thirst for knowledge! You do not have to follow these levels throughout the entirety of the program. This is simply provided to guide you on how you may utilize the material that will be provided to you. You may find some principles more interesting and/or useful than others. You might find yourself proceeding with just the list of key points and to-dos for most weeks, but then find some weeks so interesting that you read through the main content + bonus material + reference material. It’s really up to you how you want to use the program. Everybody is different and each participant will come away with a different experience from this program. All you need is less than a minute every day to at least read the key points and to-dos, and then what you do from there is completely up to you. Implementation of the bare minimum practices takes up just a minute or two out of your day. If you were to implement everything recommended in #NETT90, you could spend as little as 15-20 minutes of total time to complete your practices over a few minutes here and there throughout your entire day. The goal is to build the practices into habits so they eventually become a natural part of your lifestyle. A group of participants went through a private alpha testing run of #NETT90 at the beginning of 2016, and another group went through a private beta testing round over the Summer of 2016. While there were a few bumps in the programming throughout the process, as expected, the first two trials of #NETT90 have far exceeded expectations. For example, Audrey had been suffering from Crohn’s disease over the past few years and maintains a highly stressful management position at a Fortune 50 company. Not only did she reverse practically all of her symptoms of Crohn’s, she now wakes up happier and starts her days off in a much better mood, she is able to sustain this happiness as well as her energy levels throughout her day, and she is enjoying a more fulfilling life overall! Not to mention, while I want to emphasize that this is not an extreme weight loss program, Audrey’s tremendous improvement in health manifested in an amazing body transformation! In 2011 I decided to make some changes in my life and lost 45 lbs. in my pursuit to get fit and healthy. I was blatantly unhealthy previously. Then in 2015 I had a massive heart attack due to a rare condition caused by Kawasaki’s Disease which had gone unnoticed for nearly 30 years. Because of this, health and fitness are extremely important and essential for me. My journey to a healthier lifestyle started in 2011 when I was miserable while on my honeymoon in Italy. I knew I needed to make some changes to the way I approached food and exercise. At that same time I enrolled in the Institute for Integrative Nutrition and became a nutritional health coach in 2012. I finally felt like I was at my best. After losing my daughter in 2014 I found that I started to lose motivation. I had another baby in December and knew I needed to get back on track. #NETT90 - Enroll for FREE! Can you spare 1 minute a day for 90 days to gain awareness of how to capitalize on your body's inherent design to improve your overall health? You can utilize this insight to strategically implement simple practices that will boost your health with far less effort than you probably realize! The public beta of #NETT90 is free and will remain available for a limited time. Sign up now to Thrive On! Hello! My name is CK Chung, and #NETT90 is my baby! I’m not a medical professional, I don’t have any health or fitness certifications, I’m not a professional athlete. In many respects, I’m just a pretty average 30-something guy. I have a (standing dancing) desk job, I pay a mortgage, I’m in a long-term relationship. My own newfound health over the past few years has led me back to soccer after a decade-long absence. Now, I even dabble in the semi-pro ranks where I try to keep up with much younger players who are trying to break into the professional levels, some of whom are literally half my age! There’s so much information out there, and a lot of it is misleading. I spent a lot of time doing things that I thought were best for my health that turned out to be completely wrong. As I learned more and experimented with different practices, I discovered several fundamental principles that make a lot of sense from an evolutionary perspective in terms of utilizing the human body in a functional manner. I want to pass along this awareness of the human capacity for vitality to the world! I believe the path to optimal health centers around continually gaining awareness in order to make more informed decisions, and integrating an approach based on functional evolutionary biology with evidence-based research and knowledge gained from life experiences. You may find me using words like ancestral, evolutionary, functional, integrative, natural, organic, and primal a lot, because they most closely represent the concepts I align myself with. As of November 2018, I am currently in the process of developing #NETT90 into a full-blown online course wrapped up in a mobile application. It has been almost three years since I originally began creating this program (alpha testing round began in February 2016), and the current public beta release is simply a daily email subscription that spans 90 days. While I have been updating the material as I continue to study and research functional health and related fields, all of the original principles still hold strong. If anything, most of them have been reinforced with more evidence. The main breakdown when it comes to the sustainability of health programs seems to be around the concept of behavior change. At its most fundamental level, our brains are pattern recognition machines used to predict outcomes of situations presented in front of us. That’s why we are creatures of habit. These habits are born from patterns of behavior that are driven from our prediction engines. What makes us human, however, is the ability to think and reason. Unfortunately, technology and marketing often reverts us back to our lizard brains and monkey minds, causing us to react to situations automatically – oftentimes to our detriment. Thus, I have been spending more of my time studying the psychology around behavior change and habit formation – cognitive biases, social psychology, behavioral economics, and the like. I am slowly adding relevant nuggets around these topics to #NETT90 in order to make participants more aware of why they do what they do, or why they don’t do what they know they can easily do to improve their lives. Also, by implementing a mobile application, I will be able to utilize tools that will help others to engage more effectively with the health-promoting behaviors presented in #NETT90. © Evothrive. All Rights Reserved.